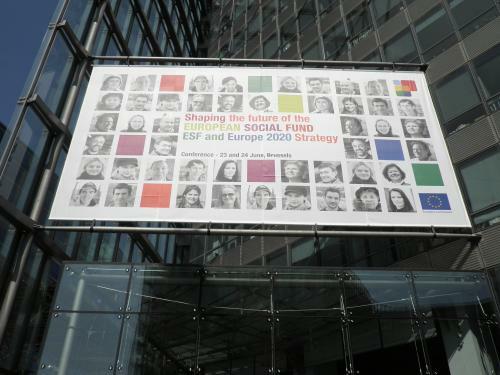 On 23-24 June 2010 staff from North West Network attended the “Shaping the future of the ESFi - ESF and Europe 2020” conference in Brussels. The conference was organised by the European Commission and brought together experts on ESF from public authorities, social partners, NGOs and academics. 480 delegates from European Union (EU) member states and outside the EU attended. The main aim of the two day conference was to acknowledge past achievements of the ESF in supporting EU objectives, in particular the previous Growth and Jobs Strategy, but also to explore how the ESF could contribute in the most effective manner to the new Europe 2020 strategy. North West Network attended this event as part of our aim to follow and shape the debate about the future of EU funding in the North West after the 2007-2013 programme. North West Network will be creating a new section on the website with regards to funding from Europe in the new programming period 2014-2021. There will be opportunities in the coming months for Third Sectori organisations in the North West to have their say about how ESF develops in the future.